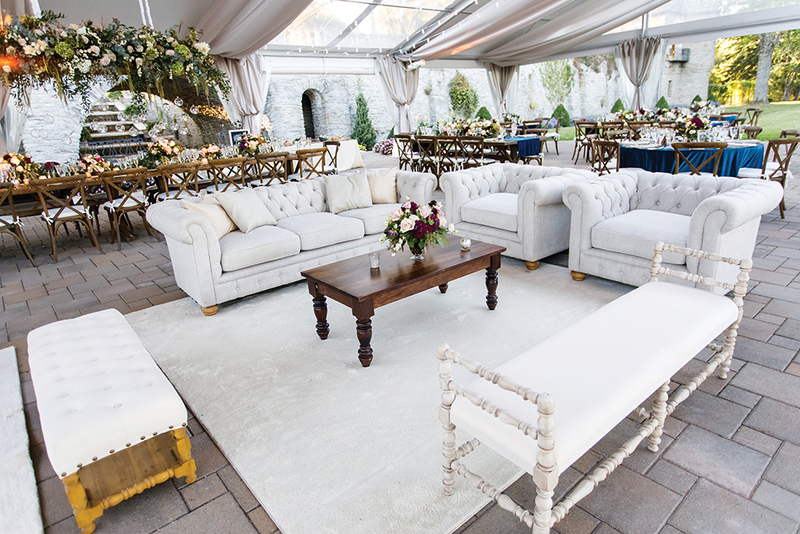 This couple tied the knot in a whimsical soirée right out of a storybook. And we can see why. 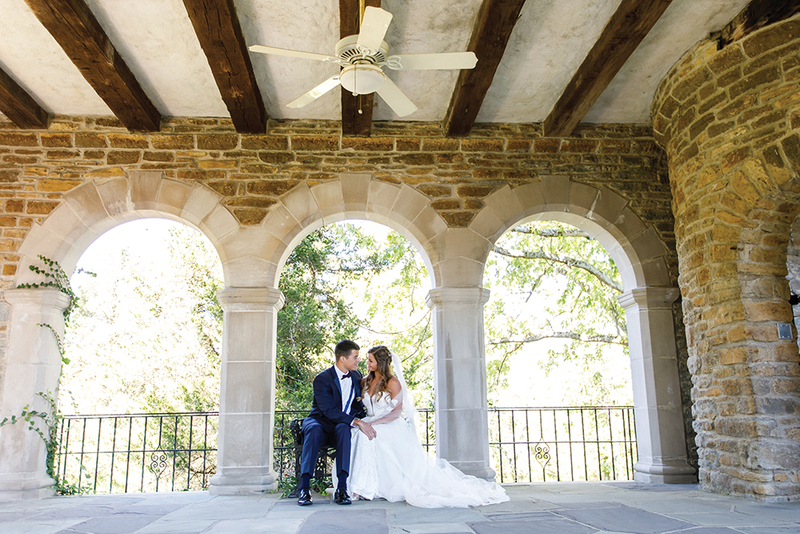 The storybook setting at Greenacres boasted grand archways and castle-like stonework. Suspended bubble votive candles cast a warm glow over the head table. String lights twinkled above the dance floor. 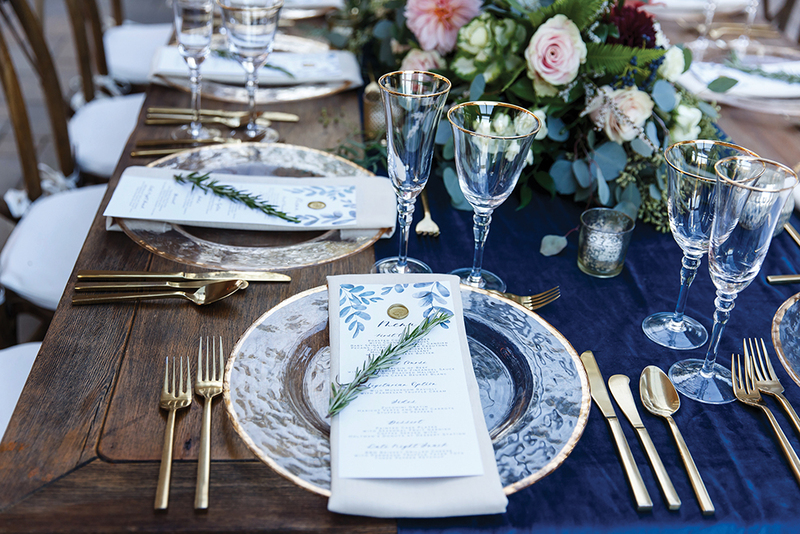 Tablescapes were layered with hues of navy, gold, mauve, and evergreen; the bridesmaids’ dresses followed suit with a multicolored palette of rich emerald tones. 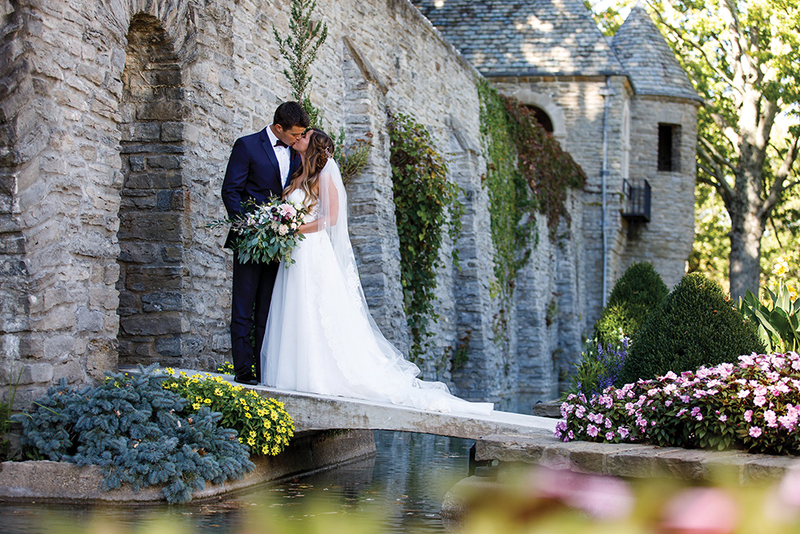 And the flowers—oh, the flowers!—were truly the “it factor” of the whole affair, Jordan says. 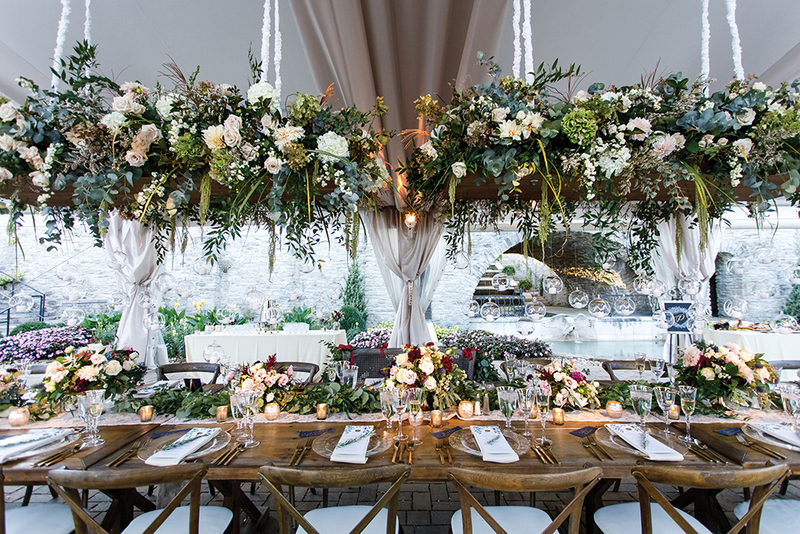 A cascading floral ceiling floated ethereally over the head table, while Edison-bulb chandeliers dripped with greenery and hovered over the dance floor. 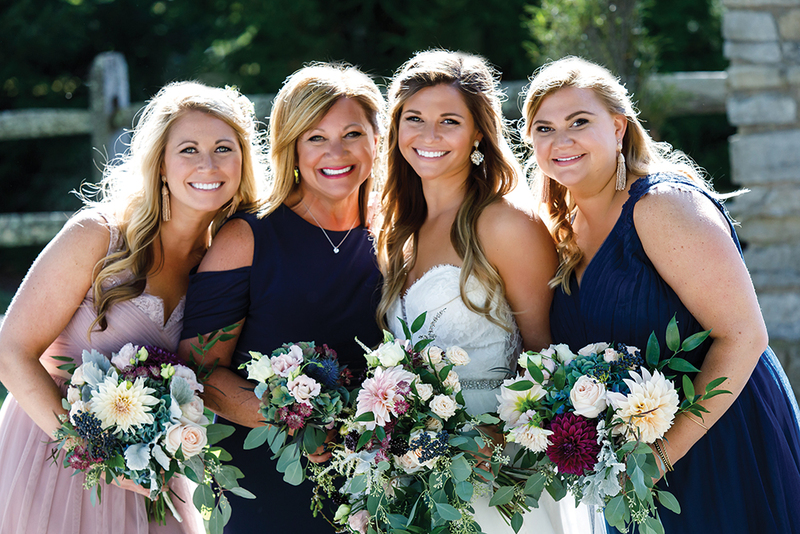 The bride’s and bridesmaids’ bouquets were earthly arrangements of deep-red dahlias, muted English roses, and plenty of fern-like greenery. 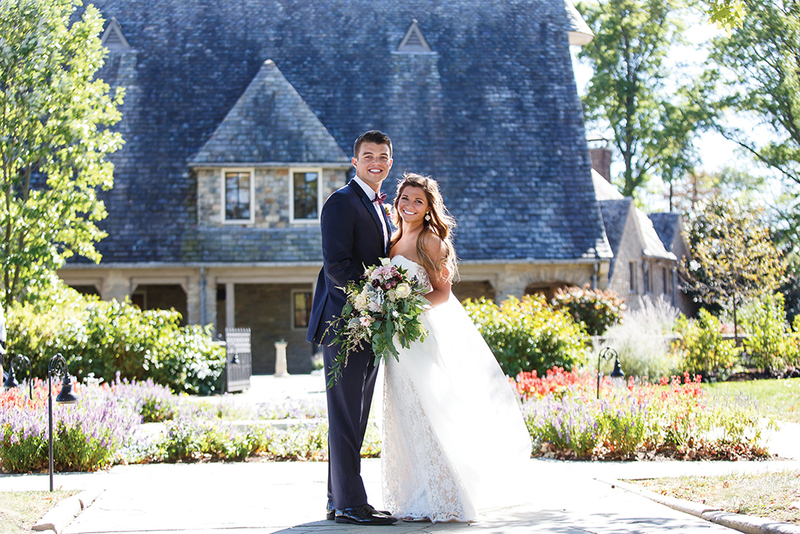 The flowers–a cascading floral ceiling and lush arrangements of deep red, pink, and green–stole the show at this magical Greenacres wedding, which also featured watercolor menus and guestbook and a comfy seating area. 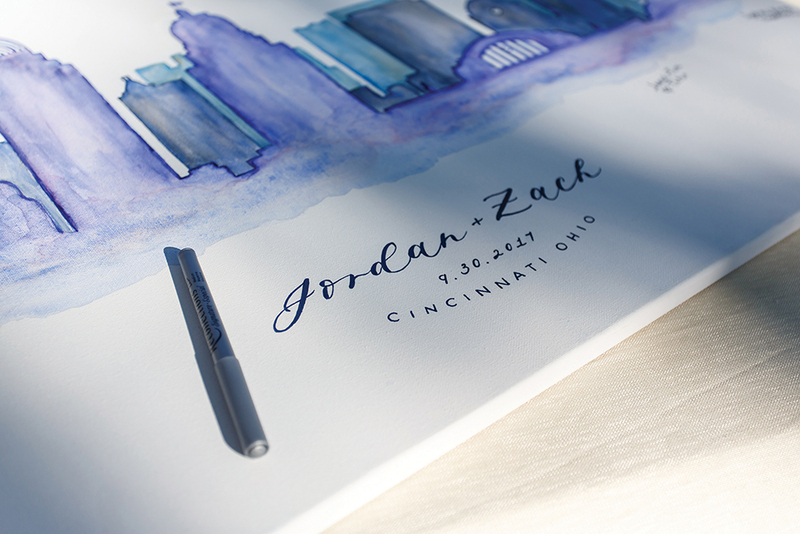 After a personalized ceremony where the couple walked down the aisle afterward to Stevie Wonder’s “For Once in My Life,” they joined their guests for the cocktail hour. 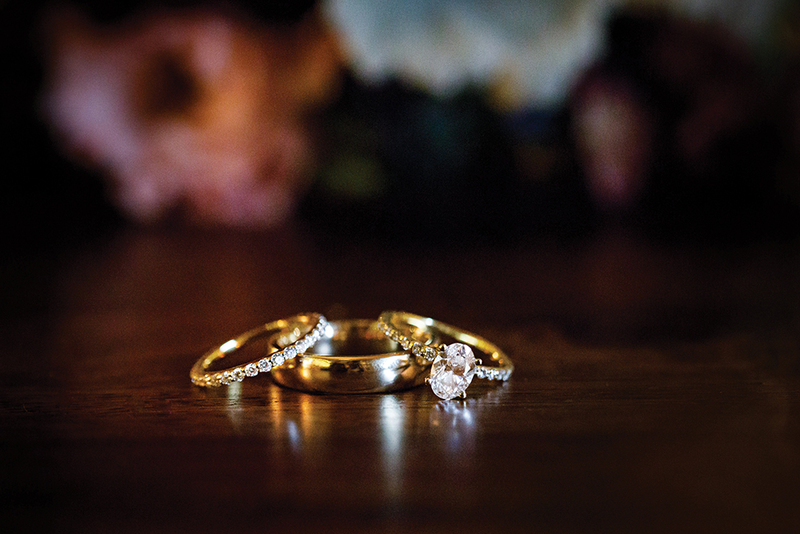 “It’s something I would recommend to all brides because it’s one more bit of time you get to spend with your guests,” she says. Dinner took a seasonal spin: a rustic apple salad with caramel popcorn and roasted corn chowder for starters, then a halibut-and-filet duet with zucchini au gratin for the main course. 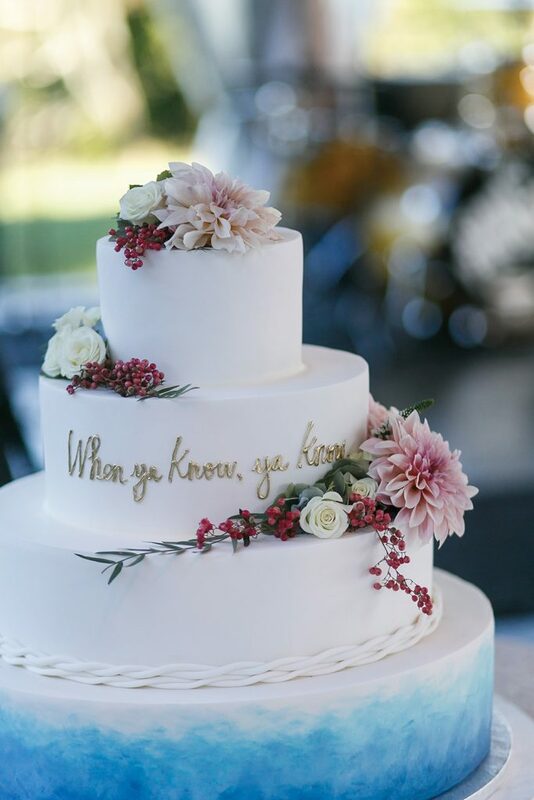 The three-tiered cake was adorned with cabernet-colored berries and delicate white roses, topped off with the gold inscription “When ya know, ya know”—the couple’s mantra.